dj tsutchie | I heard you liked music in anime and video games! Samurai Champloo is an anime series created by the company Manglobe. The anime was directed by Shinichirō Watanabe who was also the director of the anime series known as Cowboy Bebop. 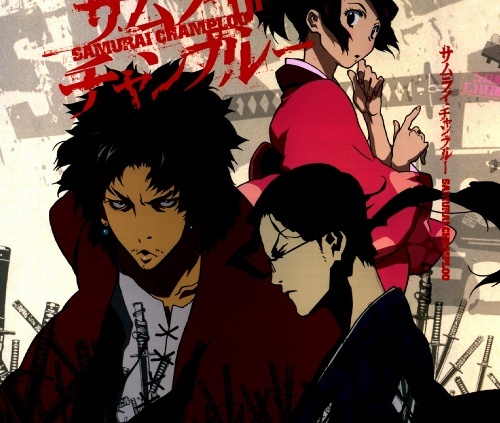 Samurai Champloo was Watanabe’s first attempt at an anime TV series since Cowboy Bebop and provides great a mix of martial arts and sword action, the Japanese Edo period, and hip hop music, styles, and culture. The anime series follows the story of two swordsmen, Mugen and Jin, and a young woman by the name of Fuu. Upon being harassed by a group of samurai, Fuu is saved by Mugen and Jin. Mugen believes Jin to be a worthy opponent and begins attacking him. During their fight, a magistrate’s son is killed and the two are captured and are to be executed. Fuu ends up saving them and have them travel with her to find a certain samurai. Samurai Champloo’s musical score is mainly composed of hip-hop. The first Samurai Champloo soundtrack, Samurai Champloo Music Record: Masta, was produced by DJ Tsutchie and the hip hop duo known as Force of Nature. The album consisted of 18 instrumental tracks and a ballad sung by Kazami, an R&B singer. 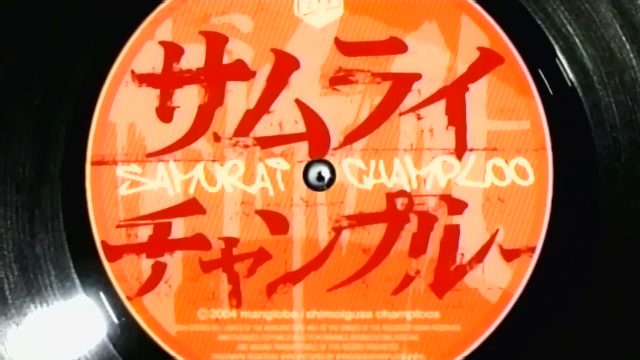 Another album, titled Samurai Champloo Music Record: Departure, was produced by the late DJ/Producer Nujabes and an American MC/producer known as Fat Jon. Sometime later, Samurai Champloo Music Record: Playlist (which featured 18 tracks created by Tsutchie) and Samurai Champloo Music Record: Impression (which featured 23 tracks created by Nujuabes, Force of Nature, and Fat Jon) were released. The opening and ending themes of the anime also feature Shing02 and MINMI. The music in Samurai Champloo is a great combination of chill, relaxing beats and hip hop and really helps add to the intensity of the fight scenes in the anime. The music also really adds to the aesthetic style of the anime and gives it more of a modern twist and feel to it. Though the anime is set in the Japanese Edo era, elements of hip hop culture (such as rapping, people acting like gangsters, and Mugen’s character design) can be seen and the hip hop music is well appropriated for this purpose. This is definitely an anime for those who enjoy action and hip hop music.